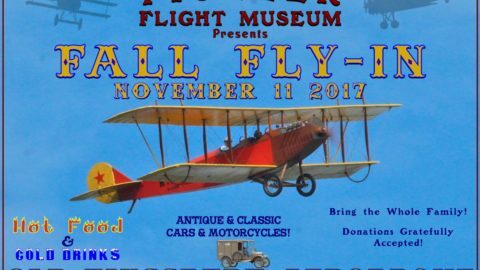 The 2016 Meyers Aircraft Owners Association Fly-In will be held at the Creve Coeur Airport, near St. Louis, Missouri, September 21-24. We’ll have private tours of the aircraft museum on the field which has both an OTW and a 145! We’ll have plenty of time for taking in the sites that St. Louis has to offer. Additionally, Octoberfest begins in old St. Charles on the 23rd. We’ll be staying at the Country Inn and Suites in Old St. Charles. The best way to make reservations at this late date is to contact the hotel directly at 636-724-5557. The hotel is located on the banks of the Missouri River and is next to beautiful walking trails and a large park at one end of Main Street in Old St. Charles, Mo. Historic Old St. Charles is cobblestoned streets lined with quaint shops, restaurants, pubs and more. Special Negotiated Room Rates: Standard King—$99 Or 1 Bedroom Suite—$109 – Rate guarantee expires August 22. As of August 16, there are only 7 rooms left at the Country Inn Hotel. Please book quickly. We’re currently working on additional hotel options as a back-up. Enterprise will deliver cars to the airport for us so your car can be waiting when you arrive. Reserve your car by TUESDAY, 6 SEPTEMBER. These are group rates. Call – 314-569-3200, hit option 4 to speak with Derek Micka (Asst. Mgr.) or Jacob Murphy (Br. Mgr.) Be sure to tell them you are with the Meyers Owners Association. Spouses are included as drivers. Any other drivers are $10/day additional. While the Creve Coeur airport is located on the west side of St. Louis, Missouri International Airport’s, and right under Class B airspace, it is not difficult to get to. In fact, this airport boasts quite a number of beautiful antique airplanes and “slow movers”. With both a concrete runway and a grass runway, it beckons all who fly. There will be ample parking space (and hangar space for inclement weather) for all aircraft. The airport hosts other groups throughout the year such as the WACO owners, Swift owners, and a few more, so they know how to put out that good old fashioned Missouri hospitality to flyers like us. You should go to AIRNAV.com, or your favorite airport directory, to get more info on 1H0. We’ll have more information here soon. 4 Light PAPI On Left, Both Runways. There are a few tiedown spots on the ramp, but please bring your own tiedowns in case we need to park in the grass. We have been assured that, should inclement weather appear, there will be ample hangar space for all Meyers aircraft. Check in to hotel (Country Inn and Suites) – 10 minute drive from airport. There are about 65 aircraft in the four main museum buildings. There are three other hangars and two shops to be seen. The guided tour ($10 per person) is a very in-depth review of the history of many of the historic aircraft in the museum. Al Stix, one of the owners of the CC airport, would be our personal tour guide. Please sign up for the tour when you register so we have a headcount. However, the museum will be open for the duration of the fly-in at no charge, there will just be no commentary. Private tour of Old St. Charles. This is a riding tour with frequent stops. Lots of history here. Good way to get the lay of the land so the time spent samplying the local cuisine and beverages is more…well….planned. Breakfast Buffet $8 per person. Lunch at EAA chapter 864 at KALN airport. Fly to KSET – Home of St. Louis CAF. Cash Bar, including Al Stix’s famous Bloody Bulls (That’s a beverage!). Don’t forget your spouse or significant other. There will be a number of interesting and fun things for them to do. In the arts, there are a number of choices. St. Louis is the home of the world renowned Missouri Bo- tanical Gardens. If you like to garden, or simply like breathtaking landscape, this is the place to visit. Forest Park is the Central Park of the Midwest and the largest in the US. It houses the Art Museum, Zoo, His- torical Museum, Jewel Box, Science Center and Planetarium. You can slowly boat through parts of the park and eat at a very cool boat house restaurant. Your hotel is located in Old Town St. Charles. One can meander the streets of one of the oldest towns west of the Mississippi. Of course, the Gateway Arch and museum, the symbol of St. Louis, is not far away. Don’t forget about the largest brewery in the world. The Anheuser-Busch brewery tour is a must, if you visit St. Louis. We are working on a VIP tour that will interest you, even if wine is your preferred drink. Not to leave you out, Missouri has great wineries, with live bands and beautiful views. This could be another option for an evening. Much to see and do in this great town, but not enough time. We didn’t want to schedule the group so tightly there would be no time to sample the local culture, so we left plenty of free time to see the sites. We are working on a couple group tours, so will announce those when confirmed. Don’t forget to bring items for the auction. If you’re planning on coming to the event this year, please contact Jim Jones at Meyers67@mchsi.com or 641-485-7219 and let him know. THANKS to our on-site coordinators Mike and Jan DaPrato, for the tremendous amount of work they have done already.